Post-traumatic stress disorder (PTSD) is an anxiety disorder caused by very stressful, frightening or distressing traumatic events and is often made more severe by repeated exposure to traumatic episodes. Post Traumatic Stress Disorder/ PTSD is an anxiety disorder often caused by exposure to a traumatic experience that caused physical or emotional harm. PTSD triggers symptoms of fear, dread, persistent unpleasant thoughts or memories, detachment, physical numbness, or sleep problems. is an anxiety disorder in which there is a sudden rush of fear. The individual suffers from physical and cognitive symptoms typically associated with the body’s ‘flight or fight’ response. Panic attacks occur without logical reason or can be triggered by situations, locations, smells, thoughts, similar situations or places, or the actual dread itself of having a panic or anxiety attack. People who suffer from PTSD may develop anogrophobia. Anogrophobia is the fear of being in certain places or situations in which help, comfort, or escape may be difficult to achieve upon the onset of a panic attack. Someone with PTSD will often relive the traumatic event through nightmares and flashbacks, and may experience feelings of isolation, irritability and guilt. If necessary, your GP can refer you to mental health specialists for further assessment and treatment or you can talk to a PTSD specialist like me FREE of charge. Hypnotherapy is a tool that can be used to help clients overcome and manage their stress and anxiety. Hypnotherapy is known to have been used throughout human history dating back to 3000 BC in ancient Egypt. Hypnosis was used by ancient shamans, priests,and healers to access the spiritual world and induce spiritual and physical healing on the body and mind. Hypnotherapy has gone through many transformations throughout history. Modern clinical hypnotherapy was first introduced and practiced by 18th Century Austrian Anton Mesmer. Mesmer utilized and studied the hypnotic trance for clinical healing purposes and eventually gained the nickname, “Father of Hypnosis”. His name is also the root for the term ‘mesmerism’. Later in France a ‘fixed-gaze method’ was used to ease the pain of surgery and soon became more popular as a form of pain management.James Braid, a 19thCentury Scottish surgeon also studied the healing properties of hypnosis and coined the terms ‘hypnotism’ and ‘hypnosis’. His research led Dr. James Esdaile, a colleague of Braid, to only use hypnosis as an anesthetic for operations. Together, they studied the scientific healing powers of hypnosis. Twentieth century French pharmacist, Eduard Coue made real headway in the study of clinical hypnosis. He discovered the use of ‘suggestions’ and ‘suggestibility’ during hypnotherapy. He developed the ‘Laws of Suggestion’ that explain how during hypnosis suggestions must be accepted by the client’s mind in order for mental and physical modification to take place. His famous suggestibility formula was, “Every day, in every way, I am getting better and better.” Soon, hypnotherapy was being used more frequently in medicine. It was also used during and after war time for soldiers suffering from shellshock, pain, stress and anxiety and mental disorders. Hypnotherapy today is used to assist in modifying a client’s behavior, perceptions, emotions and attitudes. By using verbal suggestions,the hypnotherapist helps to reinforce positive thinking, addresses conflicts and encourages mental rewiring. This rewiring helps clients to manage and modify conditions including dysfunctional habits, anxiety, stress-related illness, pain management and personal development. Hypnotherapy is a tool designed for the client’s needs. Hypnosis should not be confused or compared to sleep. Hypnosis comes from the Greek word ‘hypnosis’ which means to ‘sleep’;however, hypnosis only imitates the actions of sleep. 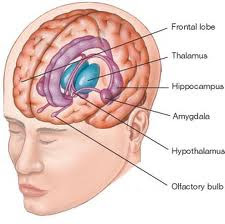 Hypnosis differs from sleep by the level of Alpha waves in the brain. . During sleep, Alpha brain waves are very low, but when under a state of hypnosis the alpha waves are extremely high. These alpha brain waves help the client to become very focused, creative and imaginative and open to new ideas. A session typically starts with the client being asked to close their eyes and relax. Closing the eyes helps to minimize distractions allowing the client to concentrate on the words of the hypnotherapist. Then the client may be asked to relax their body from head to toe while imagining themselves somewhere else, somewhere soothing and calm. The client begins to relax by taking the suggestions of the hypnotherapist. These suggestions take them further down into a hypnotic state maneuvering past the analytical filter of the conscious mind. The goal of the hypnotherapist is to access the subconscious mind in order to modify behavior and emotions according to the client’s needs. When the client enters the ‘trance’ of hypnosis the subconscious mind is open for suggestion without the filters and the blockades of the conscious mind. Their attention is highly focused and the client becomes more responsive to suggestions for their subconscious mind to accept. The mind has two levels of consciousness: the conscious mind and the unconscious;the filter between the two is referred to as the ‘subconscious’ mind. Cognitive neuroscientists have uncovered that “we are conscious of only about five percent of our cognitive activity, so Hypnotherapy: A Therapeutic Tool for Managing Stress and Anxiety most of our decisions, actions, emotions and behavior depend on the ninety-five percent of brain activity that goes beyond our conscious awareness.” Another way to explain this 5 to 95 ratio of the brain’s activity is to visualize the iceberg metaphor. The small tip of the iceberg represents the conscious mind, the 5 percent above the surface of the water that we and others can see and experience. The conscious mind is the mental activity that experiences our sense of awareness, our feeling of being awake. Or in other words, “anything that we are aware of at a given moment forms part of our consciousness.” This state of consciousness is what we use to put on our shoes, what we feel when we step out into the rain, respond to questions in class, or think about our day and make plans for the evening. Our conscious mind is our most familiar state of awareness. The conscious mind also contains our analytical thoughts and is highly critical of the information it receives. It judges experiences to form opinions. In terms of the iceberg metaphor,just below the waterline represents the subconscious, the state of consciousness that rests between the conscious and the unconscious. The subconscious can be thought as the ‘secretary’ that organizes our thoughts and memories and places them within reach of the conscious mind or places them securely into the depths of the unconscious mind. Finally, the large mass of iceberg hidden beneath of the depths of the ocean represents our unconscious mind. The unconscious is a mental process that takes place without mental awareness. This is the dynamic and sometimes irrational place where we store all of our repressed memories, feelings, emotions and instincts. It influences our conscious mind’s decisions without us knowing it. The unconscious mind is responsible for making snap decisions, feeling apprehensive about something without knowing the reason, mysterious memories and emotions that may arise in dreams. The unconscious is our “thinking without thinking”. The unconscious brain activity can be in fact traced through neurological activity in the brain. Any action or thought is created by neurons firing in our brain. This firing of electrical signals connects to other neurons creating what is called neural pathways. One can imagine this action as lightning bolts stretching, streaking and branching across a night sky during a storm. This systematic firing of neurons traveling down a specific pathway creates a neurological code. A neurological code is like connecting the dots, one point connecting to another causing people to react or respond is certain ways. Suppose an adult man has an irrational phobia of dogs. He does not know where this fear originated. However, his unconscious mind holds a repressed memory of when he was a toddler and was bitten by a dog. When he was bitten new neurological pathways fired, connecting with neurons in his brain associated with fear and anxiety. Now as an adult, he has no conscious recollection of this experience but when he sees a dog the same neural pathway fires and he experiences fear and anxiety. Understanding how the unconscious determines our decisions can be alarming. In his book, “Blink”, Journalist Malcolm Gladwell discusses the neuroscience of the unconscious mind and states, “[t]he realization that our actions may not be the pristine results of our high-level reasoning can shake our faith in the strength of such cherished values as free will, a capacity to choose and a sense of responsibility over those choices.” . However, it is important to understand that neurological pathways can be changed. Gladwell writes that “our snap judgments and first impressions can be educated and controlled” through rewiring of our unconscious by changing the neural firing pathways. This rewiring and modification of unhealthy thoughts, mental disorders, behaviors and emotions can occur by the help of hypnotherapy. In order for hypnotherapy to achieve the best results, communication and rapport must be built between hypnotherapist and client. Hypnotherapy is just like any other form of therapy in the fact that it is an inmate interaction between two people who are working together toward common goals. Building rapport and having effective communication during any form of therapy makes successful treatment possible. A lead physician and innovator in the field of psychosomatic medicines, Dr. William Saul Kroger, stresses the importance of rapport between client and hypnotherapist in his book, Clinical & Experimental Hypnosis 2ndEdition. Kroger explains how building rapport in hypnotherapy is also termed the ‘therapeutic alliance’;it is the quality of the positive interrelationship between client and hypnotherapist. (xxxiv). According to Kroger, the hypnotherapist must supply clear details about how they can help the client and how they will be guiding the client through hypnotherapy to reach their goals. It is important that the hypnotherapist“sets the stage” for problem resolution. This stage is essential for providing clear focus, objectives and demeanor of the session. When effective, trusting communication is established the hypnotherapist and the client will have a clear picture of what the client needs and wants to achieve. Building a trusting relationship creates positive reinforcement that the therapy will be successful. It is important that the client is not fearful. Some people believe that hypnotherapy is a form of mind control. They fear they will be in such a deep state that they cannot control what they do, thus acting in a way that would otherwise be unacceptable. However, clients are fully capable of making decisions in a hypnotic state and cannot be persuaded to do anything that is against their values or beliefs. Moreover, a client can choose to dehypnotise themselves at any time and will often ‘come out’ of the hypnotic state when the hypnotherapist leaves the room. Suggestion, according to Kroger, can be defined as the uncritical acceptance of an idea. The hypnotist attempts to influence the client’s perceptions, feelings and behavior by asking them to concentrate on ideas and images that may evoke intended effects. The hypnotherapist’s verbal communication is called ‘suggestions’. When the client follows through with the suggestions offered this is termed the client’s ‘suggestibility’. Throughout the process of hypnosis the hypnotherapist will continue to encourage the client’s suggestibility, openness and trust in their suggestions. People believe that their actions are produced by the ‘power’ of the therapist, quite the contrary. It is the client who acts because the action suggested by the hypnotherapist is acceptable and appropriate according to their personal beliefs, values and attitudes. Every action or thought carried out builds upon the latter and the more suggestible the client will become to the hypnotherapist’s advice. For instance, the hypnotherapist will suggest to the client, ‘Close your eyes because you are feeling relaxed and your eyes are getting heavy.’ The client closes their eyes because it is an acceptable, safe and appropriate suggestion. Next the therapist tells the client, ‘You are feeling calm and are dropping deeper into a relaxed state.’ Each safe suggestion onward will become more important and essential in the hypnotherapy process. Much like a domino effect, one suggestion after another is accepted and suggestibility grows, this is often referred to ‘hypnotic induction’. Through this process, there is a building of rapport between the client and the hypnotherapist. The suggestions acted upon will help the client become more relaxed, will open the subconscious mind, helping the client become more creative, imaginative and centered on the words and ideas suggested. It is important to note that suggestibility in no way means persuasion and does not imply that one is inherently gullible. As previously mentioned, the best clients for hypnosis are those who are independent, intelligent and creative. PTSD and stress and anxiety are rapidly growing medical concerns and anti-anxiety and antidepressant medications are some of the most prescribed drugs in the United States. Anti-anxiety and anti-depression drugs supply the brain with chemicals such as serotonin, in an attempt to correct chemical reactions in the brain. However, these drugs can come with adverse side effects such as suicidal thoughts, withdrawal, nausea, weight-gain, drowsiness, aches and pains. Moreover, research suggests that some of these medications have not proved to be much more effective than a placebo and people still run the risk of remission and relapse of their conditions. A study released by the government in 2006 showed that fewer than 50 percent of people become symptom-free on antidepressants, even after trying two different medications. In addition, nearly 30 percent of clients experience remission of their anxiety and depression even when on the medication. The risk-to-benefit ratio is sometimes in question when taking medication to treat mental disorders especially in cases involving children, the elderly, pregnant women and people with additional medical conditions. Hypnotherapy can provide a safe alternative approach for managing stress and anxiety. The benefit of hypnotherapy is that it requires no medication and has no dangerous side effects. Hypnotherapy does not artificially supply or block chemicals in the brain but works to naturally modify the brain’s neural responses to stress and anxiety. It is a therapeutic tool that requires and encourages focus, relaxation and behavioral modification. By accessing the subconscious and moving past the analytical fears and critical self-judgments of the conscious mind, clients are able to rewire neural pathways in their brain changing their thoughts and behaviors. Hypnotherapy focuses on the fascinating mental and physical power of the brain and its connection to the body. The brain is the body’s powerhouse, monitoring and regulating mental actions and reactions. The brain receives sensory input like vision, hearing and taste and it analyzes data and output. It allows us to walk and talk and tells us when we are angry or stressed, cold or hot or hungry. The brain controls our heart, our breathing and all other unconscious independent process like the release of essential hormones that affect mental and physical functions. Hypnotherapy uses the power of the brain to change mental and physical processes. Another benefit of hypnotherapy for stress and anxiety management is that hypnotherapists focus on the desired results and positive rethinking by offering mental and physical strategies for managing symptoms. Each session is specifically designed to positively address the client’s needs and promote rapport between client and hypnotherapist. Hypnotherapy does not place blame or points fingers;rather it provides proactive solutions for behavioral modification. Hypnotherapy imbeds positive rethinking in our subconscious and unconscious mind. How we respond to stress and stressful situations can be altered by the change of our mental thoughts. Neural pathways, that at one time led to the center of the brain responsible for anxiety and stress, are reverted to different pathways resulting in a feeling of ease and control. What approaches might a Hypnotherapist take for Post Traumatic Stress Disorder? Generally I personally use a combination of Hypnotherapy and Neuro Linguistic Programming plus Hypnoanalysis to offer both a treatment and coping strategies for a variety of related situations. I was trained by an ex Soldier who had PTSD from his service in Bosnia, Northern Ireland and the first Gulf War. He was an Army Sniper. I am based in Ipswich Suffolk and Colchester Essex and also work by Skype. The point is to reprocess Trauma WITHOUT going into it again so that you can largely put the distressing Memories behind you and have strategies for Anxiety and Stress. I cannot change what happened to you but I can help you to feel differently about it. Fear Anxiety Stress and PTSD get lodged in the Amygdala but can be reprocessed so that they don’t become the default response to certain stimuli. The process works well and to date I have no person shaped holes in the door! And yes the success rate is high with this tried and tested treatment. Antidepressants might work well short term and for some may work well long term but there are many schools of thought that think it is important to get to the source of the trauma and reprocess the initiating trauma. This entry was posted in About Hypnotherapy and tagged Anxiety, panic attacks, post traumatic stress disorder, ptsd, stress by Howes Graham. Bookmark the permalink.